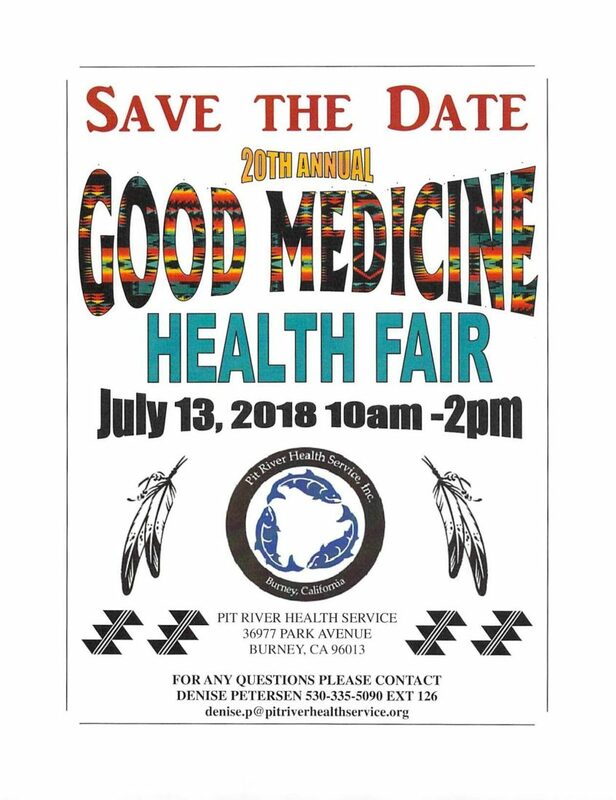 Join us Friday, July 13, 2018, for our 20th annual Good Medicine Health Fair. Beginning at 10 am come out to the PRHS parking lot in Burney and check out all of our local vendors. We will be providing screenings, car seat checks, and information on various health topics. There will be having a jump house for the kids, lunch for all community members, and raffle prizes for those who participate! We would love to see you there and if you would like to participate in the health fair or have any questions please feel free to contact Denise Petersen, Administrative Assistant, at (530) 335-3651 ext. 126.